The islands of Orkney are a beautiful archipelago located between the Atlantic Ocean and the North Sea, to the Northeast of Scotland. Like the rest of the British Isles, Orkney is an amalgam of influences. The ancients left standing stones and neolithic settlements as prehistoric monuments to their culture. The next known inhabitants were the Picts. However they remain even more of a mystery, as the Picts left very little evidence of their existence in Orkney behind. So scarce is the evidence, in fact, that until recently scholars questioned whether they were there at all. It was the Vikings that left their stamp on Orkney so strongly that their influence can be found in the culture to this day. 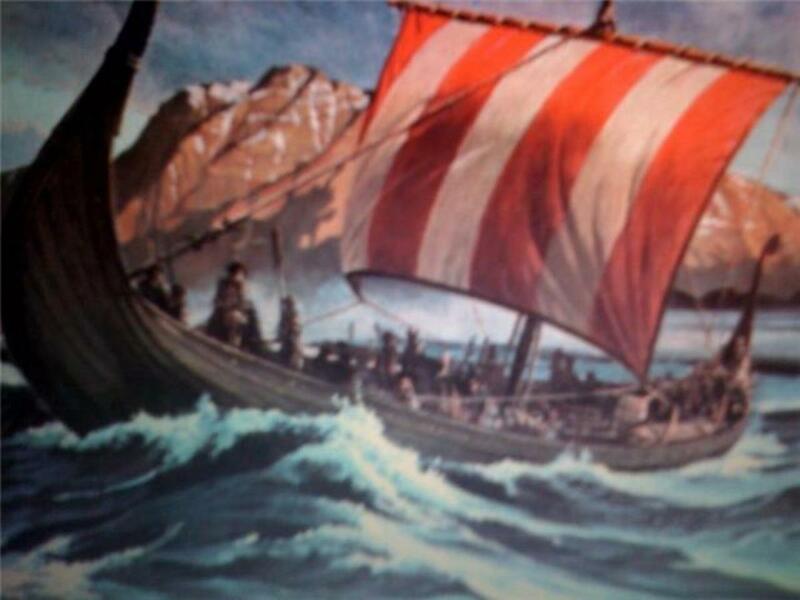 The Viking settlement of Orkney began in the late eighth century. From the records available, we can only speculate about their interaction the Picts. Due to Pictish tools being found on Viking settlement excavations, it is thought that some Picts remained on the Islands after the Viking conquest. Whether they intermarried and assimilated, or whether the majority disappeared while a few remained as slaves is unknown. It is possible that the Picts were wiped out by the Viking invaders. It has also been suggested that the Picts abandoned Orkney to join their Scottish mainland cousins. Some have wondered about the relations between the Picts of Orkney and mainland Picts and Gaels. Perhaps the Vikings were invited by the Picts of Orkney as mercenaries to defend against invasions by other Picts on the Scottish mainland. In any case, there is some evidence to suggest that Pictish society was already on the decline prior to the Viking invasion. Why it was declining is yet another mystery. It would appear that either the Picts required the aid of Vikings, or that their situation left them wide open for a foreign invader to move in. In the other parts of Britain, place names can be used to show the mixed heritage and influence of the various settlers, from Celt to Roman, and especially the Germanic settlers such as the Angles, Saxons, Danes, and so forth. In Orkney, however, Viking settlement was so complete that virtually no place names of Pictish origin survive. Orkney, like its neighbor Shetland, was removed from much of the on goings of mainland Scotland and the broader Britain. So much so that the main language of its inhabitants for many hundreds of years was not English or Gaelic, but Norn, an old Norse language. 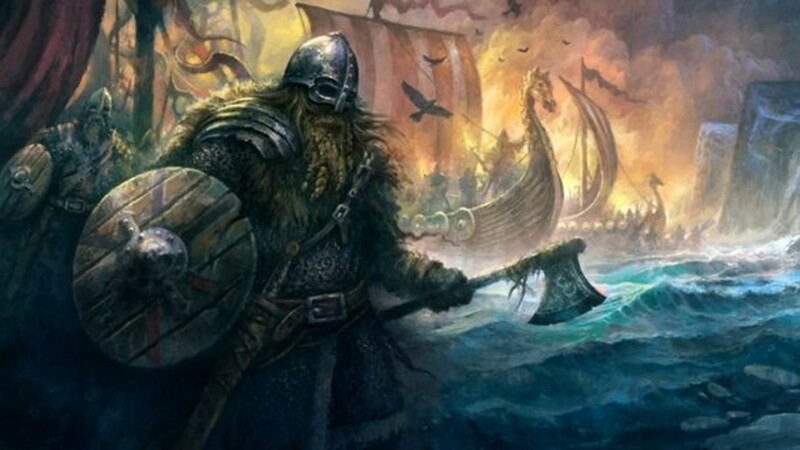 In most other areas of Viking settlement, Normandy and Lombardy for example, Vikings assimilated into their new environment and eventually took on the language and customs of the region. Orkney, however, remained a subsidiary of Norway. Despite such close proximity to Scotland, Orkney did not pass to Scottish dominion until the 15th century. So, where the Norman and Lombard descendants of Vikings eventually became French and Italian speakers, Orkney's residents retained their Norse dialect for hundreds of years. Orkney, and it's neighbor Shetland, became part of Scotland under unusual circumstances. 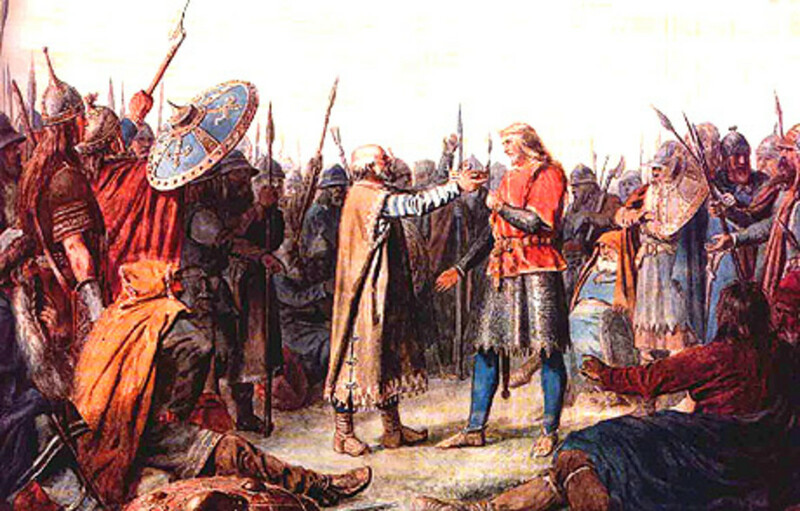 By the 15th century, Norway had become unified with Denmark. The King of Scotland, James III, was betrothed to the daughter of King Christian I of Denmark, Princess Margaret. The two island groups were put up as collateral on the marriage dowry. King Christian I failed to pay his daughter's dowry, so ownership of both archipelagos was passed to the Scottish crown. From that point on, use of the Norse dialect of Norn began to erode while another Germanic language, Scots, found its way into Orkney. In modern times, both English and Scots are spoken. There is much to see in Orkney. The entire archipelago is filled with natural wonders such as steep cliffs against the ocean side, beautiful seascapes, and lots of wildlife. Along the shores of Orkney, grey and common seals are often seen sunbathing. Other marine life such as whales, dolphins, and otters make their homes in the surrounding waters. And to be sure, there is an abundance of seabirds, such as the much beloved Puffin. Orkney is home to many treasures of pre-history and the Iron Age. One place of interest is known as the "Heart of Neolithic Orkney." 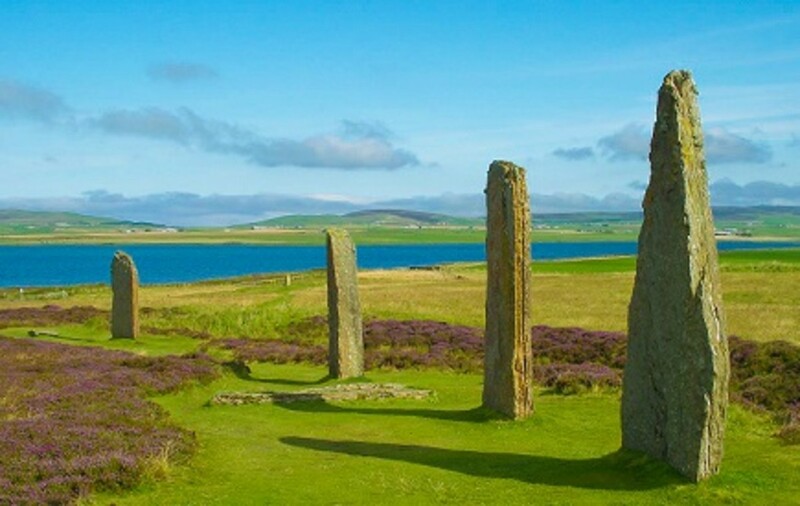 It is a UNESCO World Heritage site and consists of multiple neolithic monuments found on main island of Orkney. Within this so called "Heart" are four unique sites; Maeshowe, the Standing Stones of Stenness, the Ring of Brodgar, and Skara Brae. 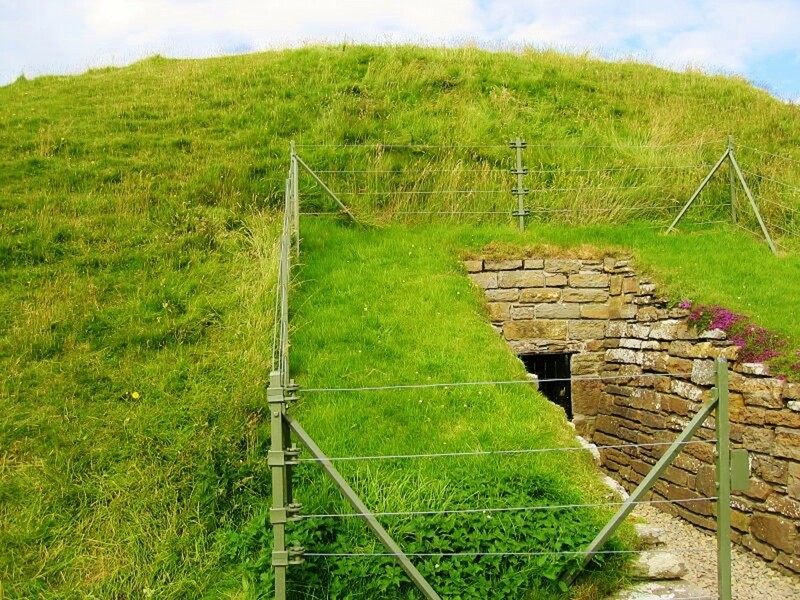 Maeshowe, also spelled Maes Howe, is an ancient chamber cairn, one of the best preserved tombs in Northern Europe. 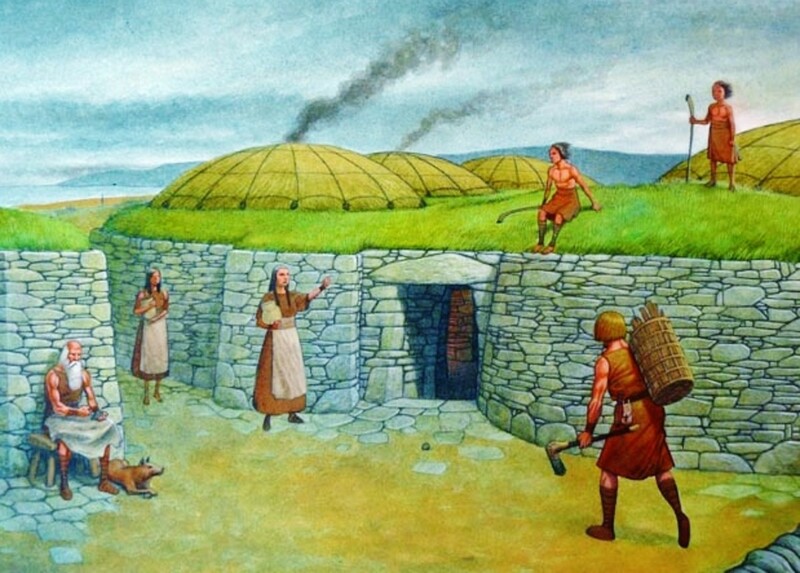 It is over 5,000 years old, and may have a link to the Newgrange tomb in Ireland. The impressiveness of Maeshowe’s construction is hidden by its outward appearance. The word “howe” is related to the Norse word for “hill.” And, from the outside, only a grassy hill can be seen, save for the entry way. Upon entering the tomb, however, the intricacy of the stone work can be seen. The interior is a network of chambers, consisting of one large central chamber and three smaller ones that shoot off it. They are connected by passages, including one long tunnel from the entrance to the large chamber. Much is unknown about the significance and use of Maeshowe. We can ascertain that it was likely used ceremoniously at Midwinter, due to the way the sun rays beam through the doorway, down the passage, and through to the back chamber area. A similar phenomenon occurs at Newgrange, Ireland. However, in the Newgrange version, the sunlight only shines through for approximately 17 minutes on Winter Solstice. The Maeshowe event lasts for six weeks; three weeks prior to and three weeks after the Solstice. Another interesting feature of Maeshowe is the Viking graffiti that adorns its interior walls. It appears that the cairn was out of use for about 3,000 years until it was rediscovered by Vikings who may have broken into the howe simply to satisfy curiosity. 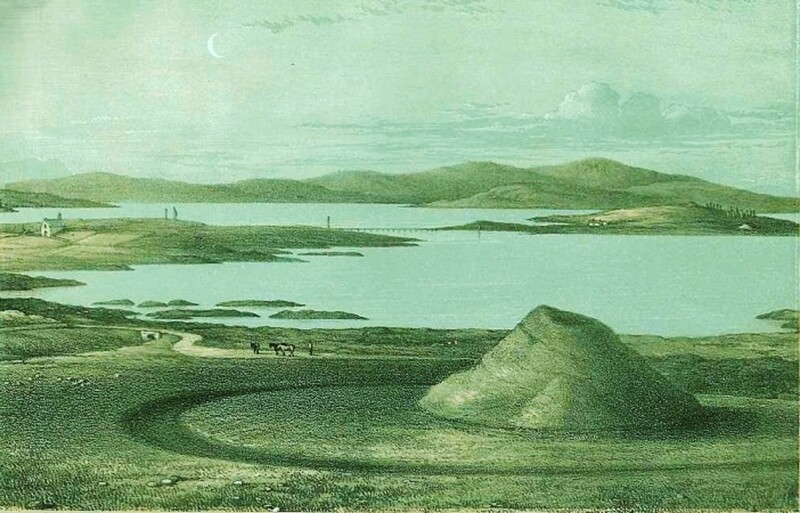 This event had been recorded in the Norse saga, Orkneyinga, but since the Vikings referred to the mound by another name, Orkahaugr, no one understood if it was legend or a true event. 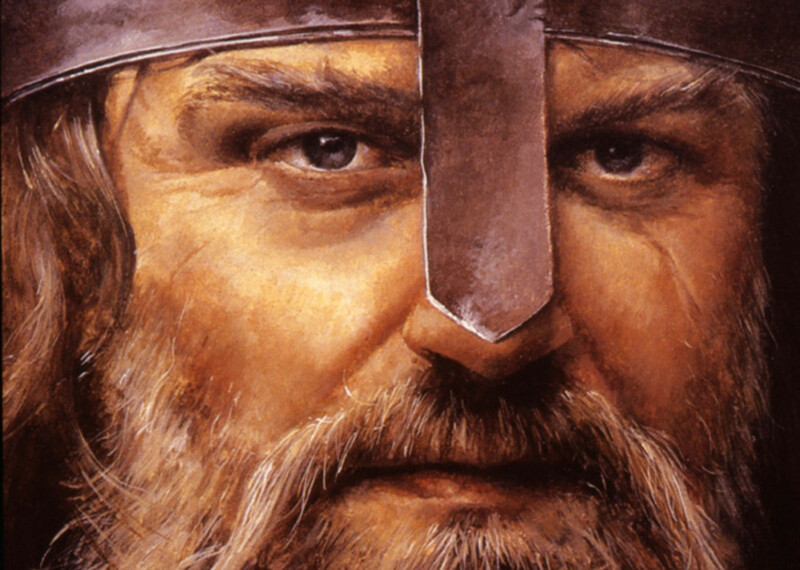 However, like so many other examples in Norse sagas written off as myth until later proven to be true, the integrity of the Orkneyinga authors was restored when an 1861 excavation proved beyond any doubt that the Vikings had been there first. Incidentally, the runic inscriptions are the largest collection of Norse rune carvings outside of Scandinavia. 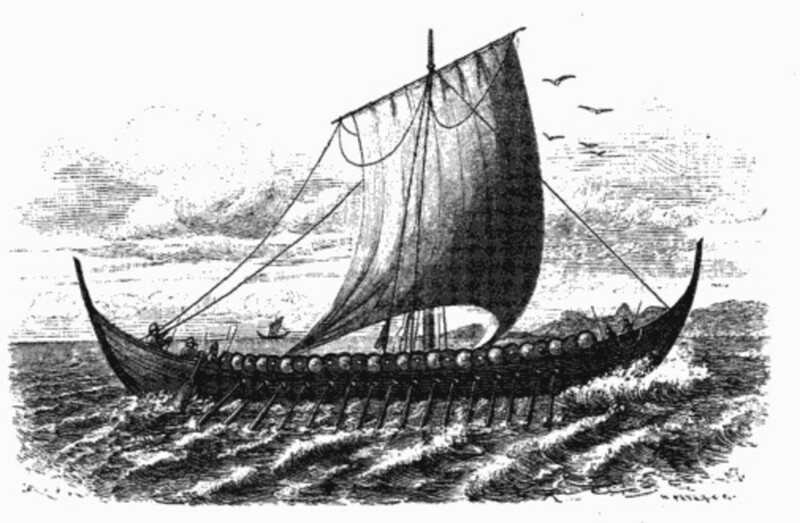 Due to the Norse settlement of Orkney, the Stenness site began to be affiliated with the Norse pagan gods. Obviously this is a much later attribution, but none the less very real and meaningful to the local people. One stone in particular bore this connection. It was called the Odin Stone, or in the local tongue "Stone o' Odin." This stone was highly revered by the local people, and stood for thousands of years. It was a large, imposing stone with a "socket hole", indicating it may have once been part of a pair. Unfortunately, land surveyors and businessmen from mainland Scotland with more concern for profit than culture moved in to the area and launched assaults on local treasures. 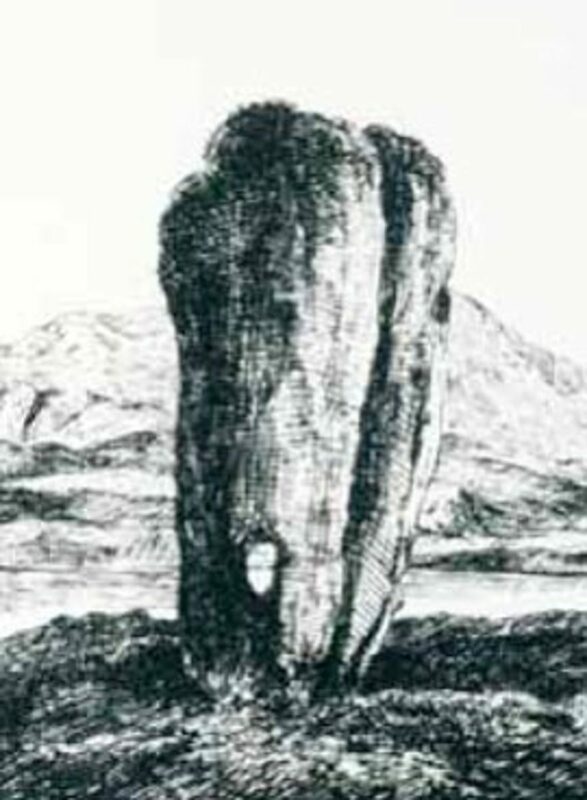 Captain W. Mackay is the landowner responsible for the destruction of the Odin Stone as well as other stones on the Stenness site in 1814. The Ring of Brodgar, however, is is more in tact. It was built in a true circle, such as is found at Stonehenge and Avebury. Although the stones are much smaller than the stones found at Stennes, more of them remain to give a more full impression of the imposing beauty of these ancient neolithic circles. Brodgar has been referred to as a henge due to it's circular shape. However, it lacks an exterior ring of raised earth, such is found at Stonehenge. So, technically, it can't be classified as a true henge. Another important location in the Heart of Orkney site is Skara Brae, which is considered the world's best preserved neolithic village. The settlement consists of eight buildings which have been so remarkably preserved as to be called "The Pompeii of Scotland." The village was inhabited sometime between the years 3200 and 2200 BC. Analysis of the buildings' interiors revealed that seven of structures had been used as domiciles. They contained such items as beds, dressers, and eating areas. The eighth building appears to have been a communal workshop. It was subdivided into smaller work stations where tools and fragments of bone were found inside. Ironically, the site was discovered due to a devastating storm. The village was buried in a mound previously called "Skerrabra", when high winds began to erode some of the covering during the winter of 1850. The site has been an area of local interest ever since. Although Skara Brae was protected for thousands of years by the materials it was buried beneath, it faces risk of erosion by the elements today. Historic Scotland - The Scottish Government’s historical body whichoverseas national historical sites. Wikipedia's page on Orkney - It’s an excellent jumping off point, it goes into greatdetail with Orkney, and provides links for further research. Only tangential, but one of my all time favorite beers blends these two things. It's a Scotch ale Wee Heavy (Scotland) named Skull Splitter, after Thorfinn Einarsson, the 7th Viking Earl of Orkney. Yes, it's brewed on Orkney. I enjoyed this very much. My ancestry goes back to the Picts so I am extremely interested . You did a nice job in your article. I haven't been to the Orkney Islands (yet), but have been to the Shetland Islands last fall. Would love to see a similar article about them some time. Really enjoyed this one very much. I loved this one! It's a great read, and very informative. Orkney is amazing for so many reasons! Rich folklore there too! I will do more on Orkney eventually. 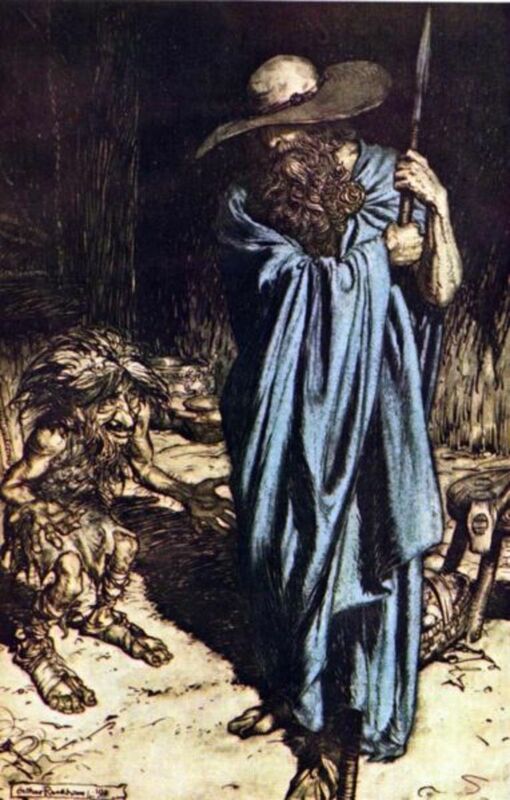 I have another article here on Hubpages about a mythological creature from Orkney called the Fin Folk, and then one on another site about creatures called "Trows." Because they were isolated, they have really unique mythology :-) Thanks for stopping by, Sage! This is awesome; I'd heard of this before when I was researching legends in Scotland it led me to Orkney, it was beautiful so it stuck in my memory. This was fun reading and learning more about it, esp. prehistoric times. Great hub. Fascinating study of something I knew nothing about up until now. I feel enlightened! There are a lot of fascinating little islands around Great Britain, and I suppose each of them has its own remarkable history. For instance, I have felt compelled to learn more about the Island of Man ever since I read Watership Down. Great hub! Great article Carolyn! 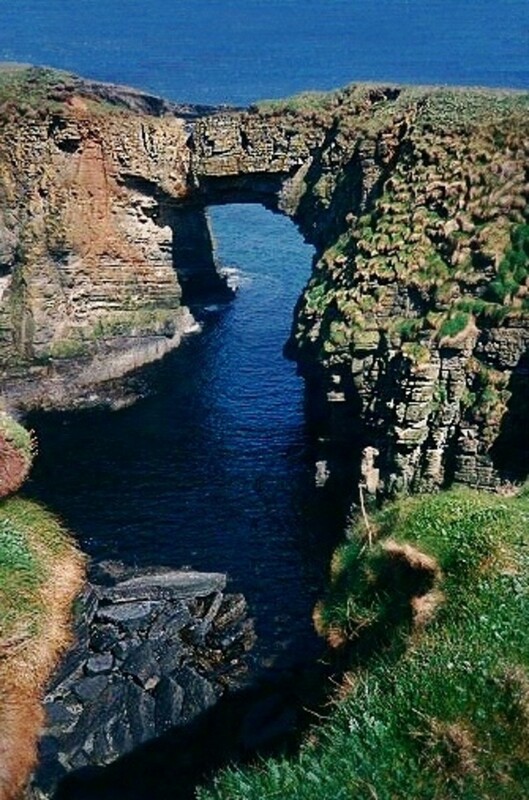 We visited Scotland and the highlands every summer when I was younger and lived in England (and we still try to now) - went to Orkney a few years back and it was amazing! Your article brings back a lot of good memories! What a wonderful and informative hub. Anything that becomes a World UNESCO site is always worth visiting. Thanks for writing this. Up, useful and interesting votes. I will also share this hub. I never heard about Orkney Islands so thank you for letting me know something new today. Good hub. What a fascinating hub, Carolyn! I enjoyed reading it very much. I remember the name Skara Brae from my childhood, but I knew very little about the Orkney Islands before reading your article. Thank you for all the informative details and for the interesting illustrations. I will share this hub.